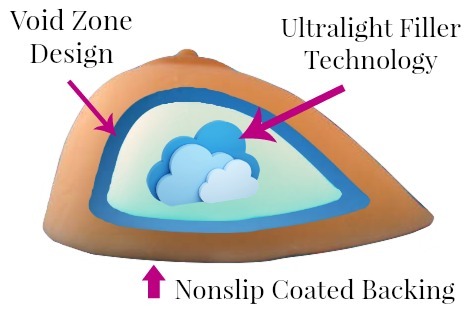 Supergel works to provide the worlds most unique, state of the art, prosthetic breastforms. Pals are the revolutionizing innovation impacting the world in big ways. Whether your main concern is durability, realism, or if you're in the area, our in-house one hour customization . 1: Pals offer Complete Personalization from abroad! and send it back to have a NEW Personalized form contoured with optimal comfort for their unique bust signature! For an extremely affordable $15 for each exchange necessary, and shipping fees incurred. We can Guarantee That Everyone in the World has a PERFECTLY Customized Breast Form! Pals will be perfectly suited to their Unique Shape, When often comfort cannot be met with Cookie Cutter alternatives! This is all without them even having to leave the house! 2: The Realism is what Shocks and creates Fans. because Pals Breast Forms meet every demand that would take the your mind off of the beauty of life and on to your breast prosthesis. Our Proprietary blend of Medical Grade polymers mimic the Exact texture of breast tissue. Along with the Look, and Feel of Real Breast Tissue. Pals are also makeup absorbent which allows anyone to Perfectly match their skin-tone! 3: The Durability of Pals is UNMATCHED! We’ve heard it all from customers who’ve tried silicone forms, as well as seen the reality of those subjected to experience helplessness when insured. being held together with duct tape, because the next time it’s covered is in 18 Months! This is why our fans are loyal and reasons such as this drive our Fans passion for the product. There has also been a few people who have made complaints about the irritating, itchy bag holding in the silicone goo. 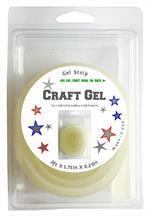 and over a short time can fully compromise any silicone form! Only with the durability of PALS can you have the simple luxury of wearing them to bed. Pals can be driven over by a CAR, without the slightest damage to them at all! We at Supergel want you to be satisfied with your purchase, therefore we offer an unheard of 30 day exchange program. Exchange for any other size, shape or color for only the cost of shipping back and forth. If for any reason you find that Pals don't work for you, you may exchange for any other item in our store. The exchange item must be in it's original unopened individual bags for sanitary reasons. CUSTOMERS ARE SO EXTREMELY THANKFUL THEY FOUND PALS BREAST FORMS, THEY OFTEN BRING TO LIGHT THE NUMEROUS COMPLICATIONS THEY'VE EXPERIENCE WITH OTHER BREAST FORMS.